As a florist, seeing flowers being turned into something very interesting is something that really please my eyes. 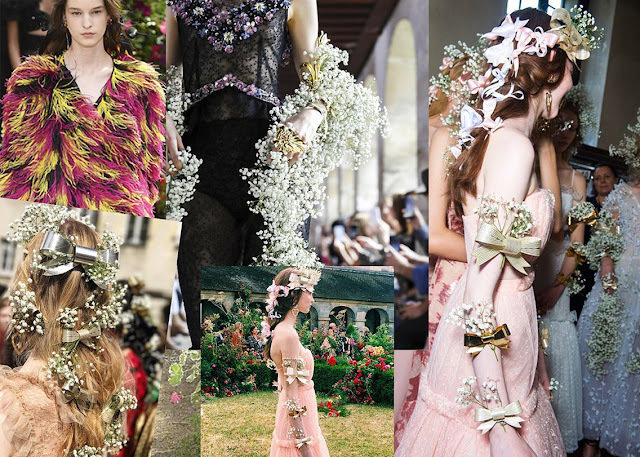 Especially like when Jonathan Anderson made a LOEWE Calendar filled with super cool flower arrangements shot by Steven Meisel, or when Dries Van Noten had "frozen flowers" on the runway similar like what Raf Simons did when he was still in Jil Sander. Anyways, flowers are pretty. 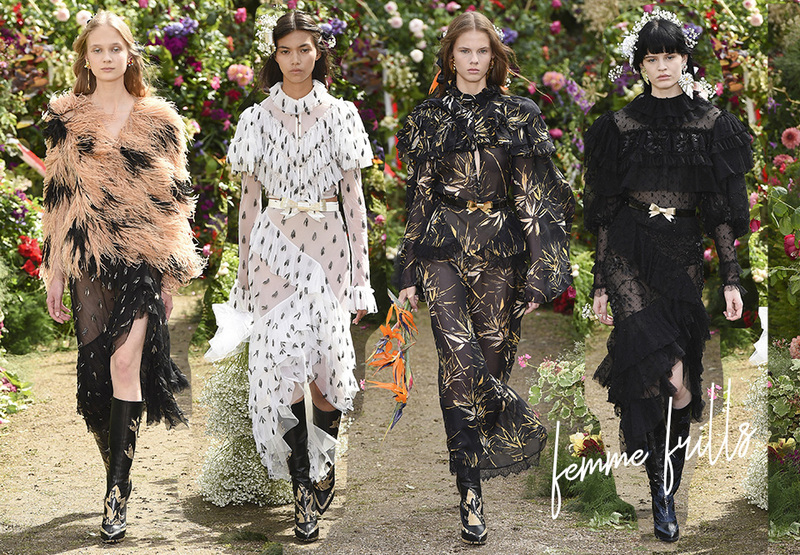 Back to Rodarte, they just debuted their first runway in Paris! 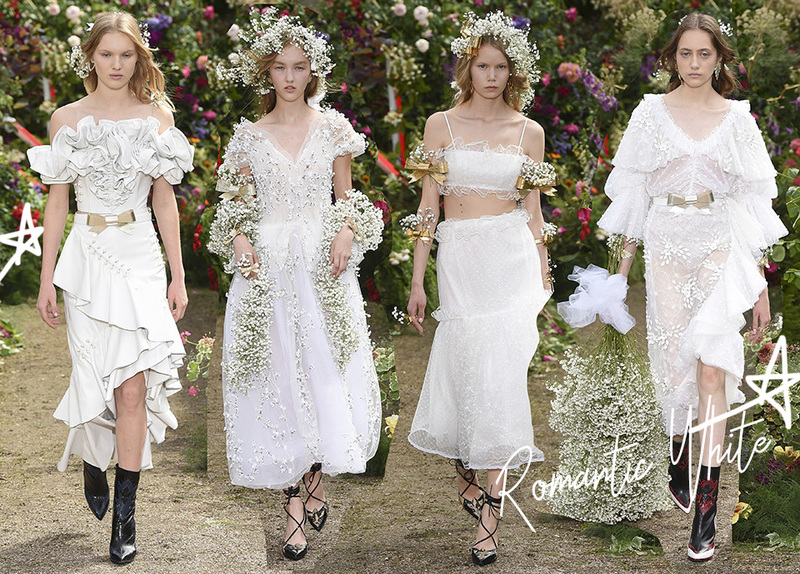 Usually they would have their shows in New York during NYFW, but this time, Rodarte (and Proenza Schoulder) decided to take it to city of love. And boy, it did not disappoint. From what I assume – white leather on look #4 (first look on the left), a very daring look, feminine shape with frills/ruffles and asymmetrical mermaid cut quite left a strong image for a start. 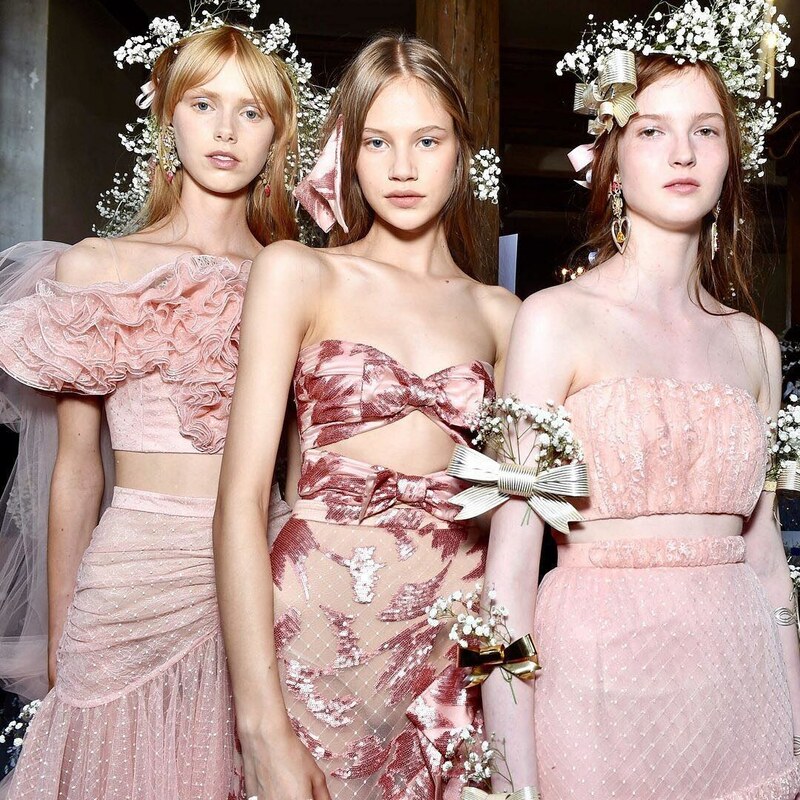 The collection followed with numbers of lace, floral embellishments, and even bralette and sheer skirt set that reminds me of a Marc Jacobs Daisy ad. Baby breaths on steroid. Totally doable for a shoot here in Jakarta – please hit @studiojiro for this kind of project! and of course, millenial pink. Who can resist? Yass, really, this is so pretty!